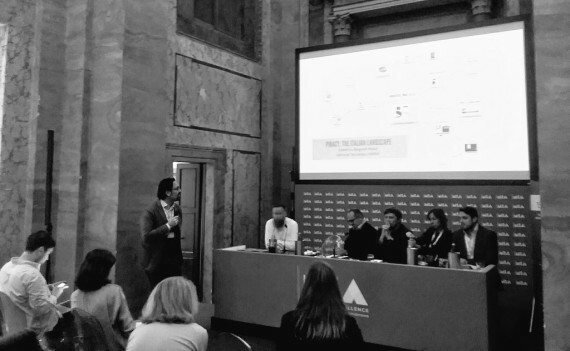 On Saturday 21 October, Europa Distribution, in partnership with MIA, gathered a panel of experts in Rome to acknowledge and discuss the elephant in the room: piracy. The roundtable, moderated by Paolo Marzano (President of the Permanent Advisory Committee for Copyright at the Ministry of Cultural Heritage, Italy), analysed the latest data on the impact of piracy in Europe, with a specific focus on independent films, commonly perceived as less affected by copyright infringement. “Actually piracy data reveal an interesting number of people looking for indie content online, if the industry could redirect these searches towards legal offers it would indeed bring back consistent revenues” commented Chris Anderson, Head of the TV & Film department of MUSO, who presented impressive figures on global piracy, inviting the audience not to see them only as threats but also as hints of a potential demand. 2016 had seen 57 Billion acts of piracy connected to films, of which 2 Billion took place in Italy. Looking at the specifics for Germany, Italy and France, Anderson pointed out how initiatives only targeting individual pirates, such as those put in place in Germany, have limited benefit, as people simply move on to different systems, streaming instead of downloading and so on. The main challenge is changing habits: even if content is available for free, legally, users might still access it illegally if they find it easier to do so. Federico Bagnoli Rossi, the Secretary General of FAPAV, brought more data from the Italian scene, highlighting a common misconception about the profile of digital pirates: “The case is often made that people who stream or download don’t have the financial possibility of paying for the content but looking at the data we know that the average Italian pirate is an educated man under 45 with a job.” FAPAV estimated that the overall impact of piracy on the AV industry for 2016 had been €686 M, with the most significant percentage affecting the home video market. Bagnoli Rossi also presented an educational commercial produced by FAPAV to shed light on the professionals behind the camera, with the aim to educate young audiences in schools to respect the value of creativity. Carlotta Calori, from Indigo production, recognised the need for producers to be more directly involved, particularly stressing the accessibility aspect of the problem. “I asked my 15 year-old son, who has access to many SVoD platforms, why he’d still pirate content and the answer is frustration. We need to explore new ways to bring content online faster if we don’t want to lose our younger audience. Indigo is presently experimenting with a new form of release; we are considering limited theatrical to have our films, targeted especially to younger audiences, on VoD within a month”. Daniel Goroshko, CEO of the Russian distribution company A-One Films, pointed out the cultural problem that lies behind the huge number of illegal transitions in some countries: “In Russia, piracy is considered absolutely normal, no one would bother to make a secret of it. The situation is bad enough to even create issues for other territories: if a film is released in Russia before the Baltic countries, it can ruin their release, so we try our best to coordinate”. Goroshko expressed his concern, echoed by other panellists, that infringement regulations are not binding enough, not permitting, for example, forced take-downs on reluctant websites. The panel agreed that what the industry lacks today is a more holistic approach to piracy, with initiatives aimed at regulating piracy, offering accessible legal alternative and educating audiences, as none of these three pillars can stand on their own. As always, Europa Distribution will keep a vigilant eye on the new initiatives coming both from the European institutions and the industry, in order to promote dialogue and foster strategic collaborations to fight piracy.